Sometimes the Stars: The wonder of Woodlock. I've been lucky enough to stumble upon the lovely boys from Woodlock performing twice while I've been in Melbourne, and both times they've had huge crowds. 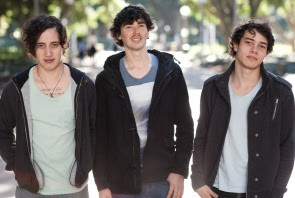 No other busker in the busy Bourke Street mall could compete with the quietly confident boys from Woodlock, who thanked each person who bought their EP mid song, as well as warning the crowd to move off the tram tracks when there was a tram coming. They let their music do the talking, and it speaks to so many people; I saw the very young and the very old enjoying every moment of the music. With melodies and harmonies similar to that of Mumford and Sons and falsetto reminiscent of The Temper Trap, they are certainly a band to watch! Their set contains many originals that you will be humming all day long as well as covers of some of the biggest songs at the moment. Many bands wouldn't dare cover songs like "Resolution" by Matt Corby, "Get Lucky" by Daft Punk or "Don't You Worry Child" by Swedish House Mafia, but Eze and Zech Walters and Bowen Purcell do so with ease, reinvigorating these songs with their indie folk vibe. Their live performance is like no other. First of all there is a drum setup like none I've ever seen before, but also you can just see the joy on all of their faces, and that makes you love their music as much as they love it. It seemed people only had to listen for a couple of minutes before they bought an EP, proof that they are good at what they do. These guys aren't just buskers, they are musicians... No question about it. 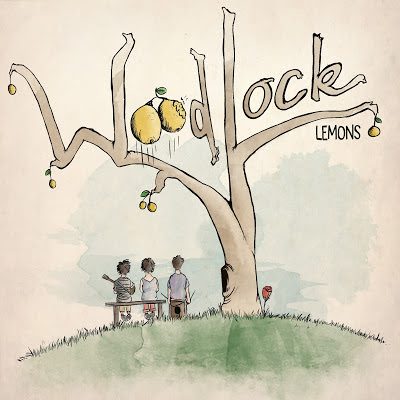 The EP Lemons which features four folk/indie pop songs, has lovely melodies and harmonies, and really thoughtful lyrics. Even the title track "Lemons" which seems like just a fun song, is about "people who've gone sour" says Zech Walters. 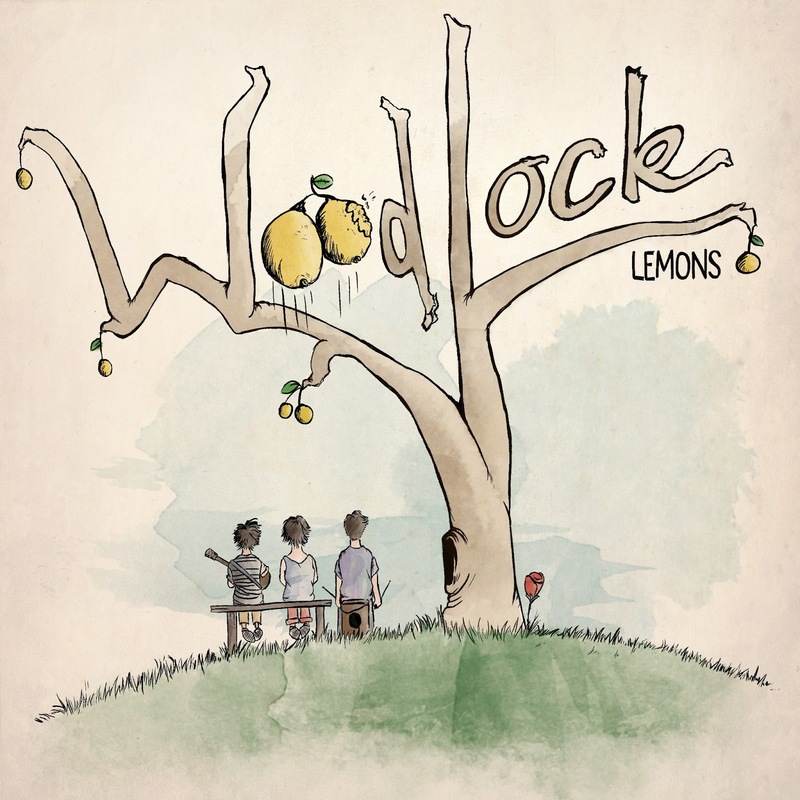 For me, all the songs on the EP are great, easy to listen to and catchy, but the standout is "Lemons." This track is just so infectious and joyous and the vocal loop that runs throughout the song is impossible to not sing for hours afterwards. The drum beat, especially towards the end is also incredibly catchy, and live both Zech and Bowen play this part, which is quite exciting to see. "The Last of Us," although slower than "Lemons" is such a beautiful song, with such lovely lyrics. On the EP it also has a string arrangement to die for, and an instrumental passage which most bands don't do anymore. It's the same with "Blood Brothers;" the lyrics tell a real story. Eze Walters voice is reminiscent of that of Marcus Mumford from Mumford and Sons and Caleb Hodges of Art Of Sleeping, and combined with the more contemporary vocals of Zech, makes for beautiful harmonies. And just when you thought they were talented enough, they swap from guitar to keyboards, to probably any other instrument you could name! Bowen, with his crazy drum setup, has to be the most joyous drummer I've seen! He honestly makes you happy, just by watching him. These guys are beyond their years as far as storytelling and writing music is concerned, and are well worth a listen or hundred.